In 2013, the administration of the Bolshoi Theater of Russia made a decision to recreate the woodwind Quintet of the Bolshoi Theater of Russia. 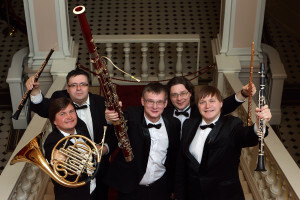 The ensemble included the best woodwind soloists not only of the Bolshoi orchestra, but of the entire country: Nikolai Popov (flute), Sergei Lysenko (oboe), Sergei Petrov (clarinet), Andrei Rudometkin (bassoon), Alexei Raev (French Horn). In the spring of 2013, in the Beethoven Hall of the Bolshoi Theater, a cycle of three concerts was held, where the performers were introduced as soloists, and then the quintet performed as the culmination of the performance. These concerts became the presentation of the Quintet. Already the collective’s repertoire includeds a large number of classical works—quintets by Dyadov, Rubinstein, Tchaikovsky (the «Nutcracker» suite), Musorgsky («Pictures at an Exhibition) and Prokofiev (the suite from the ballet «Romeo and Julliet»), Svetlanov («The Village Day»), Reicha, Danzi, Resler, Brahms, Nielsen, Barber, Villa-Lobos, Hindemith, etcetera. Additionally, the members of the collective already created several works specifically for themselves, and these were performed during concerts, and met with a rapturous reception by the public—especially Fantasy based on the themes of Tchaikovsky’s opera «Queen of Spades» by S. Lysenko and «Carnival of Animals and Insects» by N. Popov. The history of the woodwind Quintet of the Bolshoi Theater starts in the middle of the twentieth century, when the collective included such outstanding orchestra soloists as E. Ignatenko (flute), M. Orudzhev (oboe), I. Butyrski (clarinet), P. Savelyev (bassoon) and A. Ryabinin (French Horn). Subsequently, the make-up of the collective changed, but it consistently featured only the best woodwind performers—soloists of the Bolshoi Theater orchestra like flutist A. Golyshev, oboist S. Budukov, clarinetist E. Myasnikov, bassoonists Y. Rudometkin and B. Bogorad, French horn players I. Lifanovsky and V. Tarasov. From the moment of its founding, the woodwind Quintet of the Bolshoi Theater was actively putting on concerts in Moscow and other cities of the USSR, as well as beyond Soviet borders. The end of the 1990s marked a moment of rupture for the history of the collective. This season the Quintet will perform several concerts in the Beethoven hall of the Bolshoi Theater, the Small Hall of the Moscow Conservatory, and the Concert Hall of Russian Gnesin Academy of Music. The first CD of the Quintet is in production, and it will debut in the fall of 2014 in the Beethoven hall of the Bolshoi Theater. Born in the city of Voronezh. 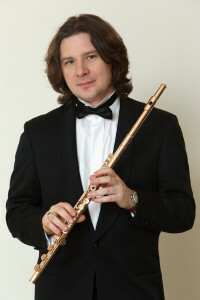 Studied the oboe in the Voronezh Music School (under U. A. Gritsey). Graduated from the Gnesin Russian Academy of Music (under professor I. F. Pushechnikov). In 1989 he was admitted to the National Academic Bolshoi Theater, and from 1991 on he has been a soloist for the orchestra. 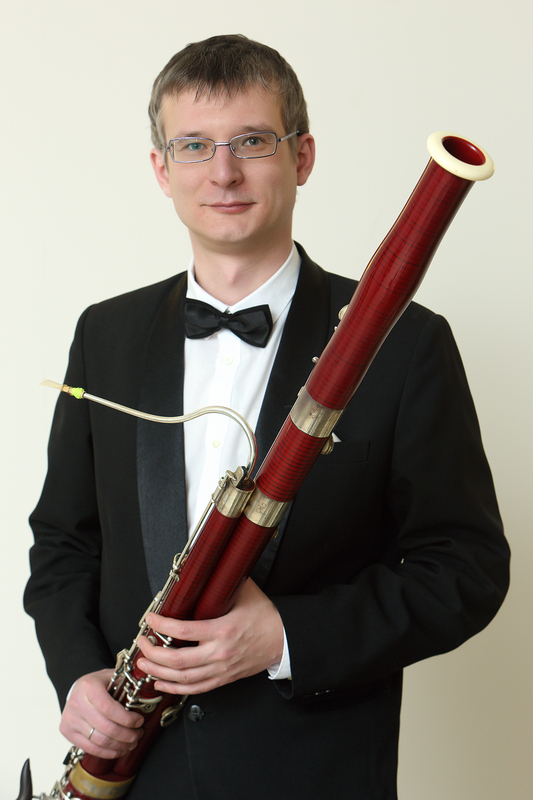 He holds the first prize for the 1991 All-Soyuz competition of wind-wood performers. He has taken part in many plays put on by the theater. He has recoded several discs, including: «Tradition» (1995) with the NABT chamber orchestra, «Unique Baroque Musique» (2000) with the orchestra «Musica Viva», «Theme with Variations» (2004) with the orchestra «Orfarion». Many of these recordings have been played on Radio Orpheus. Distinguished Artist of Russia (2006). Sergey Lysenko has authored several musical compositions, which were performed to acclaim in the concert halls of Moscow and were played on Radio Russia. Nikolai was born in Leningrad in 1975. After graduating from music school (as a part of a class taught by I.P. Pimenova) and the M.P. Musorgsky vocational school of music (as a part of the class taught by E. S. Matveev), he was admitted to the St. Petersburg Conservatory, to study under Docent O. S. Chernyadyeva. During his first year there, he won the International Competition in Minsk and received the second prize at the All-Russian competition of wood-wind instrument performers in St. Petersburg. 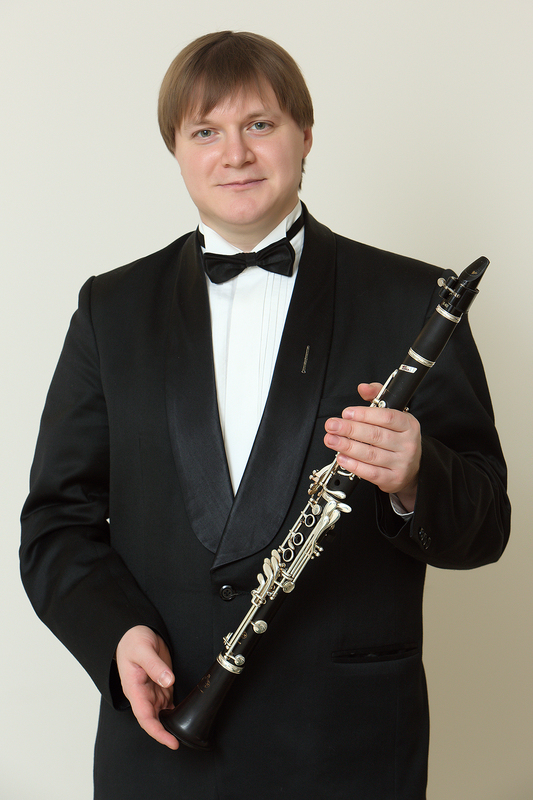 During his third year, after winning the competition among wind players of the Conservatory, he was invited by the Jury chair, the legendary Swiss flutist Orel Nikole, to do an internship at the W. A. Mozart European Chamber Music Academy in Poland. After graduating from the Conservatory, he continued his studies in the graduate school of the Higher school of music and theater in Munich, under a famous flutist, Professor Andrash Adoryan. He received simultaneous support from several German foundations: Gartow Stiftung, Chamber Music Academy and the charity fund of the world-famous violinist I. Menukhin, Live Music now. 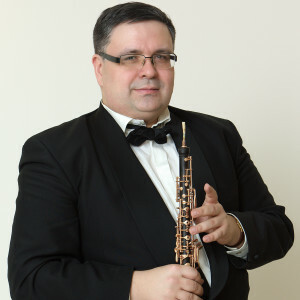 In 2000, Nikolai Popov became the first performer on wind instruments—a representative of Russia in the G. Malher Youth Orchestra (chief conductor—Claudio Abbado) and participated in the «Millenium-Turn» Orchestra with the French composer and conductor Pierre Boulez. 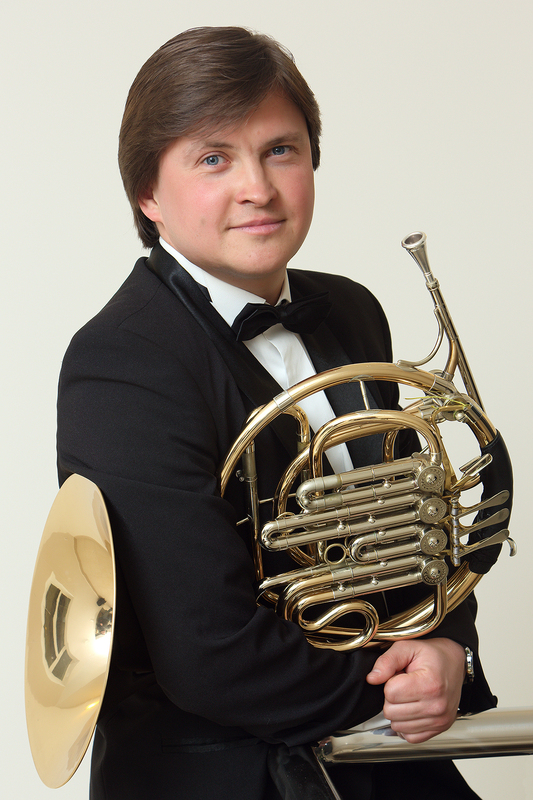 While still a fourth-year student at the music academy, Nikolai Popov became a soloist of the concert philharmonic organization «Petersburg Concert.» This job marked the beginning of his active participation in concert performances. From 2002-2011, he was the soloist of the Tchaikovsky Symphony Orchestra under the direction of the USSR National Artist Vladimir Fedoseev. From 2012 on, he has been a soloist at the Bolshoi Theater. As a soloist, Nikolai Popov performed with the Tchaikovksy Symphony Orchestra, orchestras of the St. Petersburg Philharmonic, the chamber orchestra «Virtuosos of Moscow» and many other collectives under the direction of conductors such as V. Fedoseev, V. Spivakov, R. Martynov, F. Mastanzhelo, A. Sladkovsky, etcetera. In addition to classical music ventures, he participates in jazz projects, creates and creates arrangements for various music collectives. He has collaborated with a highly diverse range of musical groups: Vermishelli Orchestra, «Terem-Quartet,» «RockoCo», «Easy Winners Ragtime Band» and many others. He is an active pedagogue, and gives master classes in cities throughout Russia and abroad. Sergei Petrov was born in 1981 in Norislk, in the Krasnoyar Region. In 2005 he graduated from the Gnesin Russian Academy of Music, from the class of the Russian national artist, professor Ivan Pateleevich Mozgovenko. In 2001, he became the soloist of the «Russian Philharmonic» orchestra, and from 2002 on—a soloist of the Bolshoi Theater of Russia orchestra. In 2005, Sergei Petrov became the first prize Laureate of the Rimsky-Korsakov international competition in St. Petersburg. He is an active concert performer and collaborates with many leading musicians. Andrei Rudometkin is a Bolshoi Theater orchestra soloist and the artistic director of the «Bassoon +» project. From 1992 until 1997 he studied at the Academic musical college at the Moscow Tchaikovsky Conservatory. In 2001, he graduated from the Tchaikovsky Moscow National Conservatory, and in 2003 from the bassoon graduate program at the Moscow National Conservatory. In 1995 he became the Laureate of the International Youth Competition, and was admitted to the Bolshoi Theater orchestra in the same year. From 1997 through present day, he is a soloist at the Bolshoi Theater of Russia. During the course of his orchestra work, he performed leading parts with conductors such as E. F. Svetlanov, M. F. Ermler, A. N. Lazarev, G. N. Rozhdestvenskiy, U. H. Temirkanov, V. A. Gergiev, and other outstanding conductors. From 1998 Alexei Raev studied in the Merzlyakov Institute at the Tchaikovsky Moscow State Conservatory under R. P. Matiyakin. Between 2001 and 2006, he studied at the Gnesin Russian Academy of Music under the Distinguished Artist of Russia, Professor V. S. Shish. In 2008 he completed his Assistatship-Internship. In 2013, he completed the graduate program in Production at the Gnesin Russian Academy of Music with distinction. In 1998 he was admitted to the scene orchestra of the Bolshoi Theater of Russia. From 2002 on he has been the concertmeister of the French horn group of the main orchestra of the Bolshoi Theater of Russia. Simultaneously, he was a soloist at the Russian National Orchestra under the direction of M.V. Pletnev between 2000 and 2004, and at the Russian National Philharmonic Orchestra under the direction of V. T. Spivakov between 2004 and 2007. 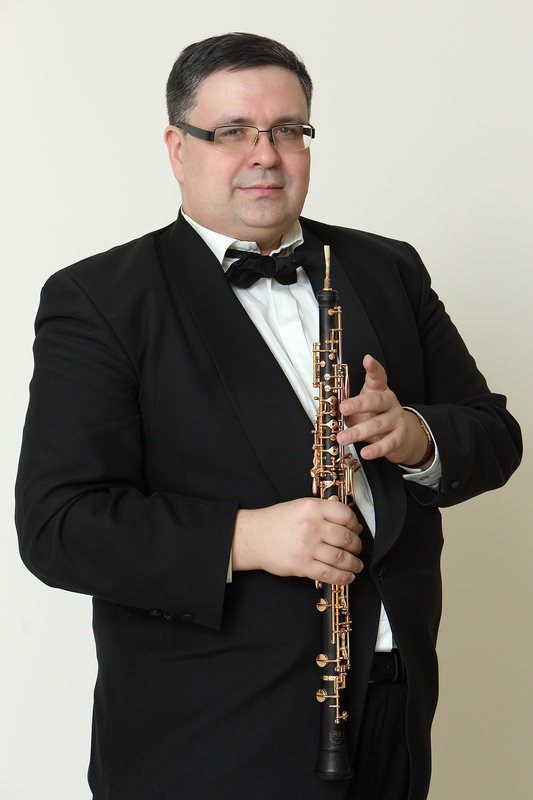 In 1997 he became the Laureate of the international competition of young wind instrument performers. In 2000 he became the first prize Laureate of the All-Russia Rimsky-Korsakov open competition of wind and percussion instrument performers (St. Petersburg). In 2003 he became the Laureate of the Yamaha scholarship prize. In 2012 he became the Laureate of the Board of Trustees of the Bolshoi Theater of Russia.